A pro-active and personalised citizen-centric public service platform dedicated to specific emergency actions on flood occurrences is going to be implemented and harnessed by integrating existing components. An emergency management console including a GIS component will be the core of the platform and will provide the management for other components: of risk and crisis events monitoring and situational awareness, social media, territory monitoring system, citizen direct feedback and sensors network. The main goal of the platform is to help public authorities in preventing, intervening and recovering the flood emergency situations and to link the citizens, public administration and authorities through social media and mobile technologies. This is going to be run in a transparent way and having the citizens’ involvement in providing meaningful information on spot and using it to build the event’s overall picture. 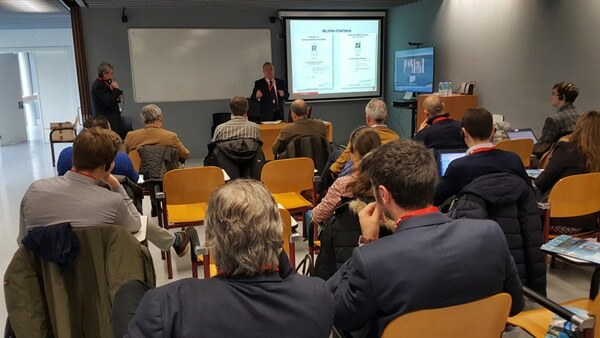 With the aim of collecting user requirements, a session of workshops was organized in the five pilot cities in Genova, Italy, Tulcea, Romania, Bratislava, Slovakia, Bilbao, Spain and Vila Nova de Famalicão, Portugal. So far, our analysis work has been put forward among the stakeholders involved after finalizing the fifth workshop held in Vila Nova de Famalicão, Portugal, and now the user requirements related to all the five components of the platform are ready to be structured and refined before we start the first round of development. Not only have the user requirements been elicited but also the expectations regarding the user interface and functional aspects have been set up along with all possible overlapping aspects that might encumber the integration process. As soon as the final version of user requirements analysis is submitted, a first version of the user interfaces based on latest specifications, is going to be designed in a law fidelity visual prototype. This way we put the basis of the integrated components into our platform by allowing the end users to check, test and improve the proposed visual prototype. To keep track of our further steps in the project development and stay connected with our team, just make sure you have submitted to the FLOOD-serv’s newsletter on the project’s website and followed us on Facebook or LinkedIn.